We laid it all on the line for the babies and against the seemingly insurmountable odds in New Mexico this legislative session. With the democratic party in total control of both chambers of the legislature and the power to sign any law into effect with newly elected governor, Michelle Lujan Grisham, a radically pro-abortion democrat, we knew that if there was to be any hope of opposing their PRO-DEATH AGENDA, it was vital to activate the voice of the people of New Mexico and reach the hearts of the Catholic Democrats and urge them to vote their faith. In the end, God heard the prayers of many and the Catholic Democrats came through for life! Thank YOU so much for your prayers and support! 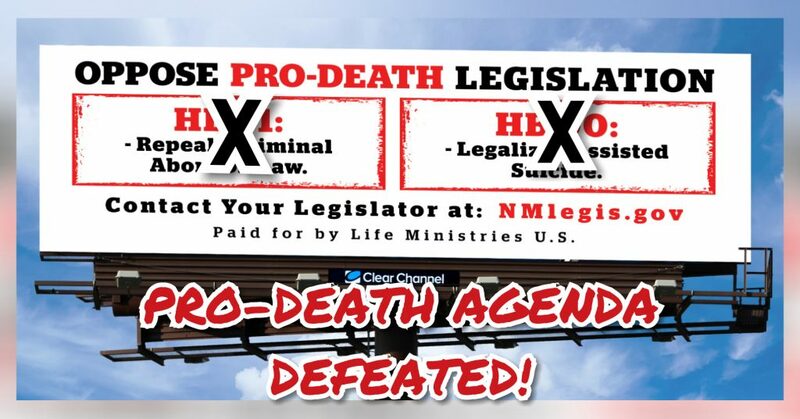 “Pro-life advocates and Republicans in New Mexico are thanking the Catholic Democrats and other ‘patriots’ who joined them last week in ending what was referred to as the “Pro-Death” agenda in the state legislature. He added that one of the ‘most encouraging developments’ for members of his group during this legislative session was the connection they made with the patriot community of New Mexico. The ‘Pro-Death’ agenda consisted of HB 51, which would have decriminalized abortion, and HB 90 and an identical state Senate bill, SB 153, which would have legalized assisted suicide. HB 51 would have compelled doctors and nurses in New Mexico to perform abortions and – similar to New York’s new abortion law and the controversial Virginia legislation – would have removed all restrictions to abortion. While New Mexico already allows abortion up until birth, HB 51 would have removed a criminal ban on abortion that has remained on the books since before the Supreme Court’s invention of a right to abortion in Roe v. Wade in 1973. ‘The criminal abortion law that was enacted by the legislature in 1969 doesn’t need to be stripped from New Mexico law, but strictly enforced,’ Shaver said. ‘We applaud the eight Democrats who voted their faith values in defense of life and broke rank with their radical extremist party that currently controls New Mexico,’ he added. Bud was able to check off something that has been on his bucket list since 2007, joining InfoWars.com as a guest on their global transmission! Info Wars is so influential that their patriot audience is considered the primary reason President Donald Trump got elected! Their unfiltered news broadcast strikes fear into the heart of the globalists that are determined to take down our president and destroy our country and the values we hold so dear. 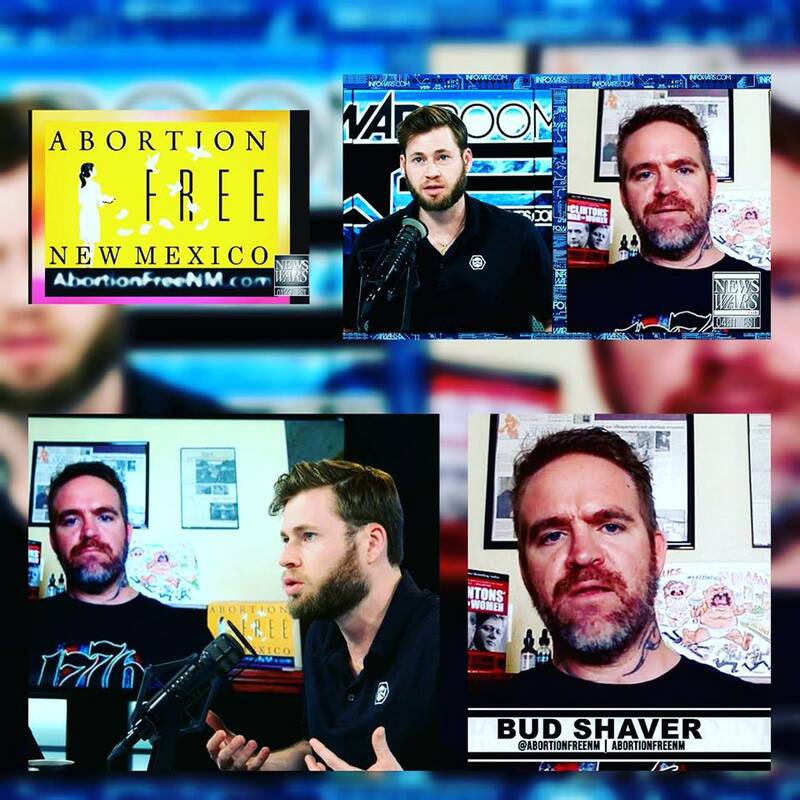 Everyone familiar with Info Wars knows that the guests are what sets them apart from the mainstream media that Trump has labeled “FAKE NEWS!” Bud was able to expose the atrocities of the pro-abortion policies in New Mexico and what can be done to fight back. Pro-lifers quietly approached mothers scheduled for abortions and offered them red roses as a symbol of life…thus the name “Red Rose Rescue.” Attached to each rose is a card which states: “God is love and he loves you and your unborn baby. Don’t be afraid. Your life circumstances will change and this baby will give you boundless joy… There is help for you and your baby.” The reverse of the card contained phone numbers of local pregnancy help centers. In doing so, each of the pro-lifers risked arrest for trespass. They also prayerfully witnessed to moms, their escorts, the medical workers, and law enforcement who arrived on the scene. Several of the rescuers, including Bud, remained in the facility until arrest, prayerfully standing in solidarity with the babies scheduled to die in that location from abortion. Rescuers had five hours to minister to couples and to pray fervently inside Washington Surgi-Clinic. Washington Surgi-Clinic is one of 19 abortion facilities in the DC metropolitan area. Also known for providing later abortions, Cesare F. Santangelo, has a history of medical malpractice. Court documents obtained by Operation Rescue showed a 2011 medical malpractice/wrongful death lawsuit filed by the family of a woman who died during an abortion. Through great sacrifice Fr. Stephen Imbarrato and Lauren Handy were also arrested and spent 5 hours in jail. They were arraigned the next day and will return to D.C. for a court date in May. Jesus told his disciples, “If anyone would come after me, let him deny himself and take up his cross and follow me. For whoever would save his life will lose it, but whoever loses his life for my sake will find it.” This looks different for everyone and for Bud this Red Rose Rescue was a denial of himself as he advocated for the littlest humans, babies in the womb. Red Rose Rescues serve multiple purposes, to save babies lives by reaching the moms sitting in clinic waiting rooms, to be present in these killing places in solidarity with the babies who will die and the arrests that occur could be challenged up to the Supreme Court and be the catalyst for the highest court in our nation to overturn Roe vs. Wade. When Roe vs. Wade, the landmark case that decriminalized abortion in our nation, is overturned, performing an abortion in New Mexico becomes a fourth degree felony! It is for this reason that radical leftist democrat legislators in Santa Fe sponsored HB 51. This bill sought to remove New Mexico’s criminal abortion statute, most of which is not currently being enforced because of Roe. However, the existing criminal abortion statute, positions New Mexico to be one of the most pro-life states in the nation. Pro-lifers, especially those in New Mexico, must work to ensure that Roe vs. Wade is overturned so that our state moves from being the late term abortion capital in the nation to a safe haven for the pre-born. 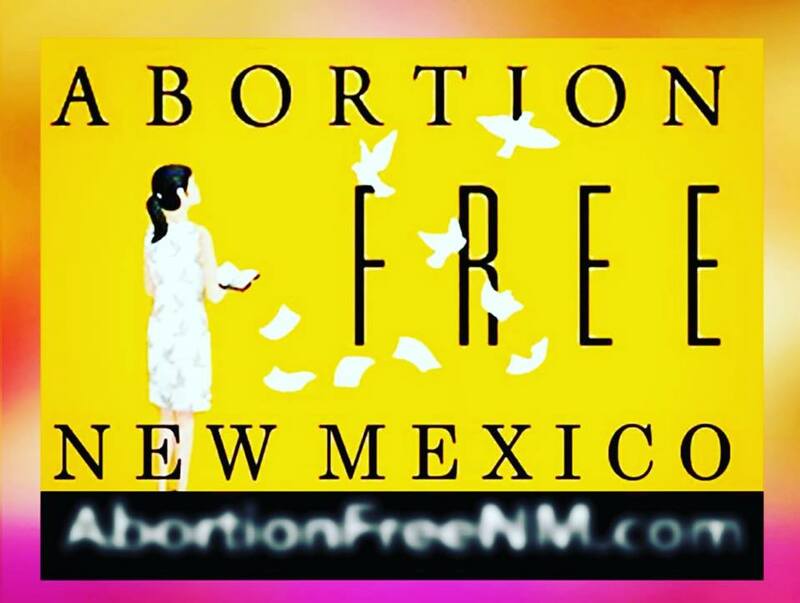 “In New Mexico it’s currently a fourth degree felony to commit an abortion. When Roe vs. Wade is overturned New Mexico will be one step ahead and the law passed by the New Mexico legislature in 1969 that predated 1973 will go into immediate effect. He gives a little background of the Red Rose Rescue movement: Why Red Rose Rescue, Why Washington D.C., Why it matters to New Mexico, And a direct message to President Donald J. Trump. ​You will also see footage just minutes before Bud was arrested. 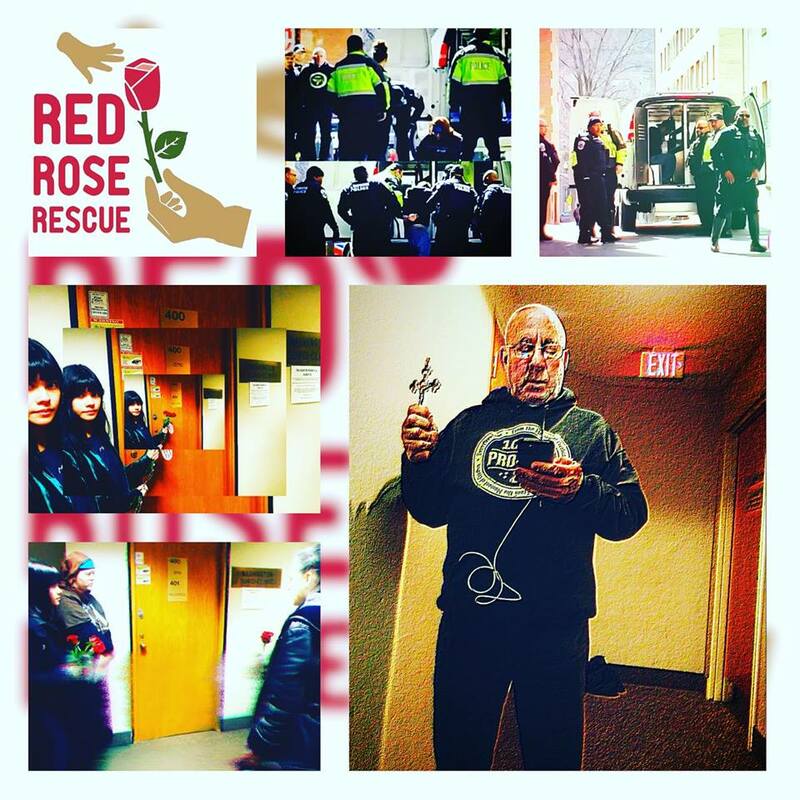 BACKGROUND: Fr.’s Moscinski and Imbarrato, who led the March 19, 2019 Red Rose Rescues in Washington D.C. have been arrested several times prior, attempting to peacefully save preborn babies from death as have the majority of pro-lifers in today’s activism. ​ Red Rose Rescues began in September 2017. The March 19, 2019 Washington D.C. saving efforts mark more than a dozen in a little over 10 months. Red Rose Rescues are known to have saved numerous babies’ lives from abortion as well as untold numbers of babies who may have been saved because women are not able to keep their appointment when these rescues occur. 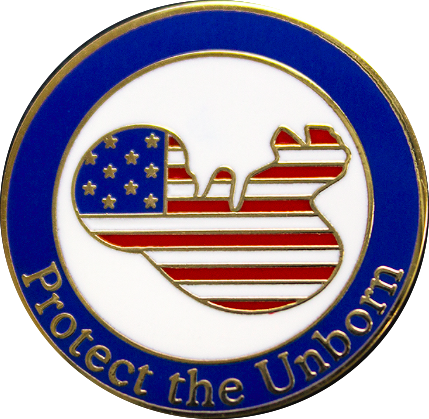 Would you like to help us send a Patriotic “Protect the Unborn” lapel pin (that is pictured above) to all 53 legislators who voted “no” to HB 51? Receiving this lapel pin in the mail will go a long way to remind legislators, some who are now under immense pressure and have experienced backlash, to continue to protect the babies of New Mexico with their vote in defense of LIFE. It will to cost us $300.00 to buy the lapel pins, package and ship them. It will be worth it to see these elected officials wear a token of our appreciation and will serve as a tangible reminder to “Protect the Unborn” during the next legislative session.Donate $5, $25, $50 or $100 to help us send a lapel pin to every New Mexico legislator who voted for life this session. Every gift is tax deductible. 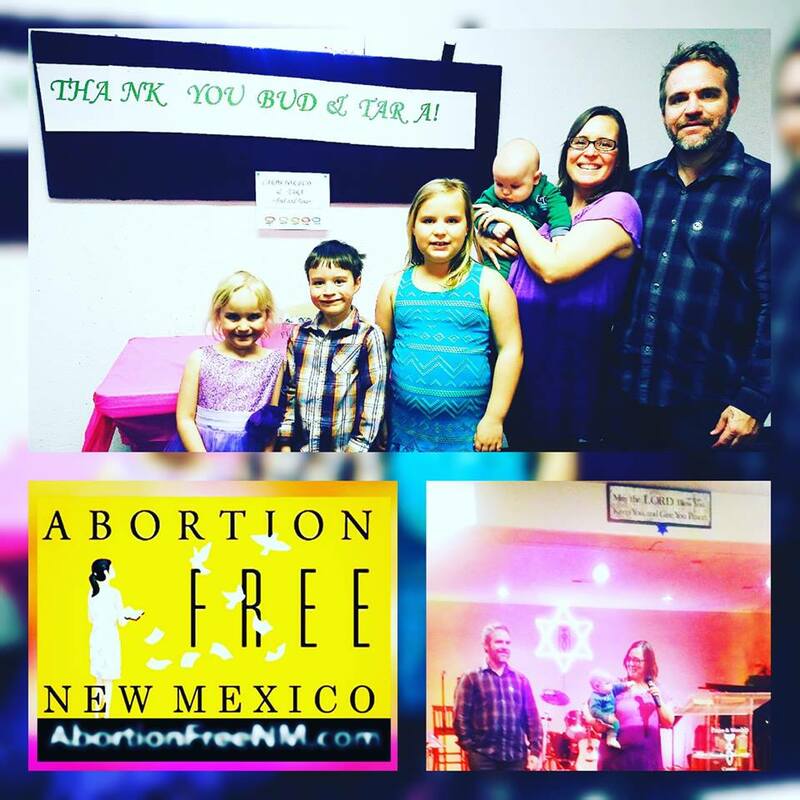 Thank you for sowing into an abortion free New Mexico through your prayers, support and by giving to this campaign to help us show our appreciation to our legislators who voted for life. 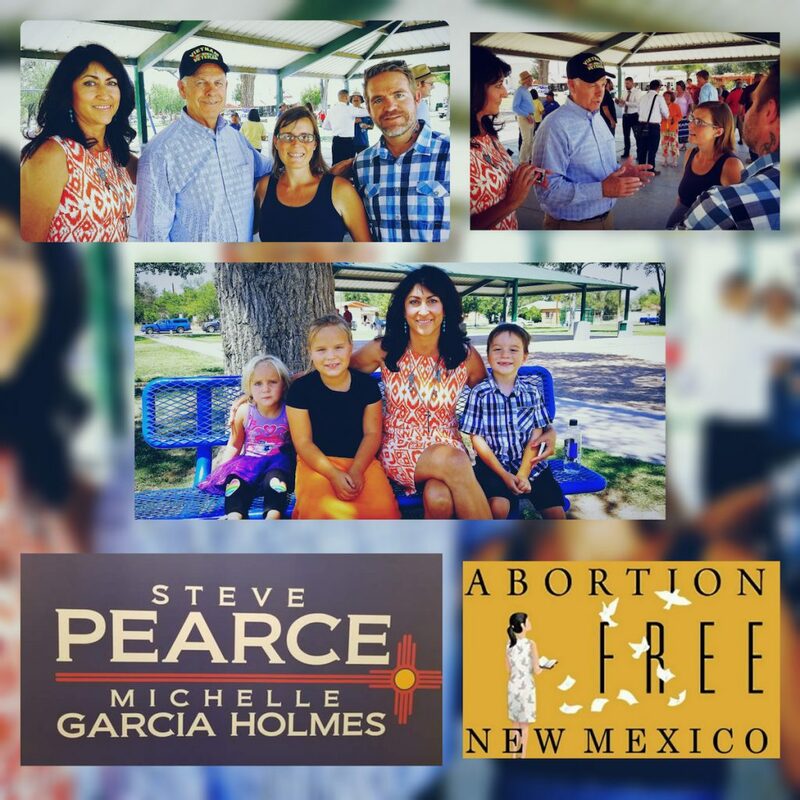 We are pursuing and working toward an abortion free New Mexico, where every pre-born child is valued and protected. 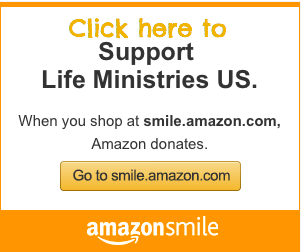 *You can schedule a secure monthly or one timetax deductible donation online. Simply selectBud and Tara- Pro-Life Witness from the drop down ministry menu. *Checks made out to Life Ministries U.S. are tax deductible. We thank the Lord for you and pray for you. Please feel free to send us your specific prayer requests in the return envelope or by email. 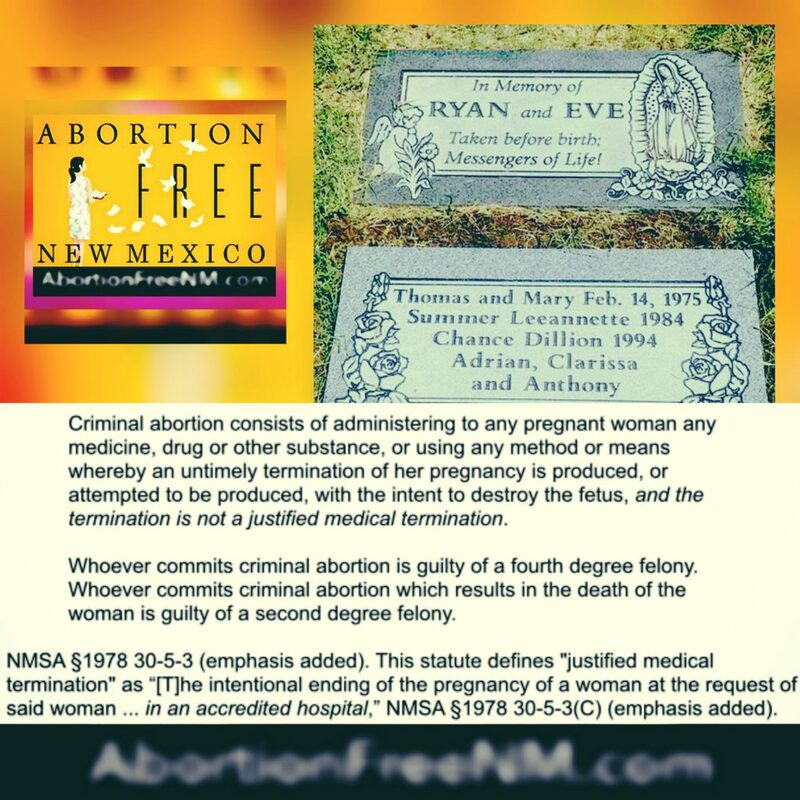 Thanksgiving that the 1969 New Mexico Criminal Abortion Statute remains on the books. Pray for the 8 democrat senators(6 Catholics) who opposed HB51. More awareness in our state, especially in the churches about abortion in our state and what they can do to partner with us to end it. Passionate leaders to remain engaged politically and for God to open doors for the next election cycle that godly leaders will be appointed. Tithe a portion of your tax return to our ministry. Contact Real Estate for Life when buying or purchasing a home. Share this newsletter with others. We’re humbled to have you partner with us in our ministry here in New Mexico. May the Lord bless you and your family. Know that you are always in our prayers.